By day, DePaul Applications Manager Julian Carey’s fingers are busy tapping in computer codes and solutions to employees information technology needs. By night, you may very likely find his feet in tap shoes, entertaining and teaching anyone with an interest! 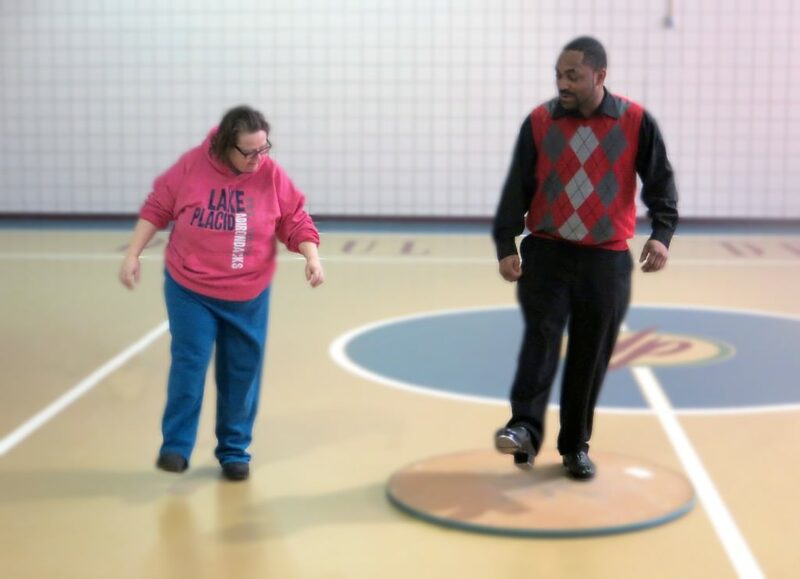 Recently, Carey performed a tap dance demonstration for participants in DePaul’s Recreation Program at 1931 Buffalo Road in Rochester, New York. “It’s exciting and flashy,” said Paul E., a DePaul client who lives in the community. Paul was brave enough to volunteer to try out tap dancing. A DePaul employee since September 2014, Carey graduated from the State University of New York School of Technology at Alfred with his Bachelors of Technology in Web Development. Previous to coming to DePaul, he served as a Help Desk Technician at Unisys Technical Services in Rochester. Carey’s first love, though, was dancing. A Bronx native, Carey studied tap, jazz, modern, ballet and creative dancing at the Harlem School of the Arts from the ages of 3 to 11. When he turned 11, he honed in on tap at the Third Street Music School Settlement. He began teaching at the age of 16. Carey has performed in Showtime at the Apollo, a number of off-Broadway shows, and he was offered a spot on the Broadway show STOMP, choosing to go to college instead. He has performed with some of the tap dancing greats in New York City including Savion Glover, and has also acted in commercials, television shows and even in an independent foreign film. 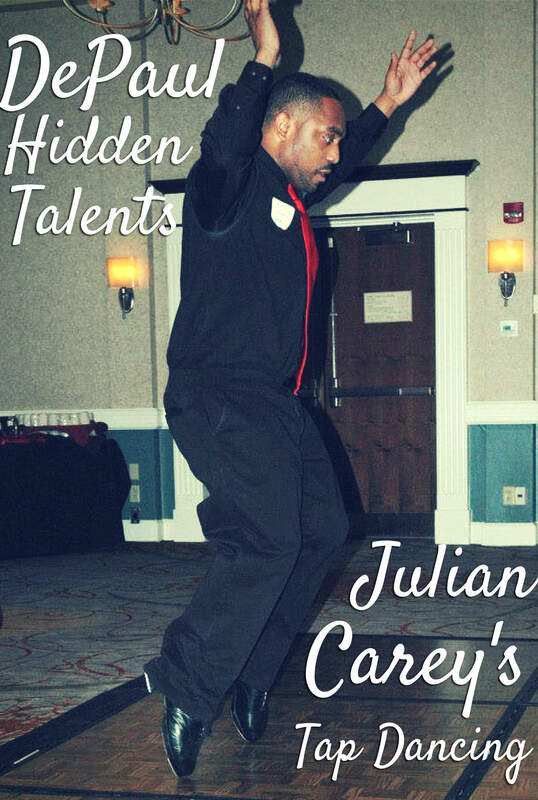 While in college, Carey founded Tap Dance Underground, an organization dedicated to spreading awareness of tap dancing. Carey said he choose a career in IT over dancing because he felt dancing would not guarantee a steady paycheck. He describes his tap dance style as eclectic. Carey said his experience at DePaul has been great so far! 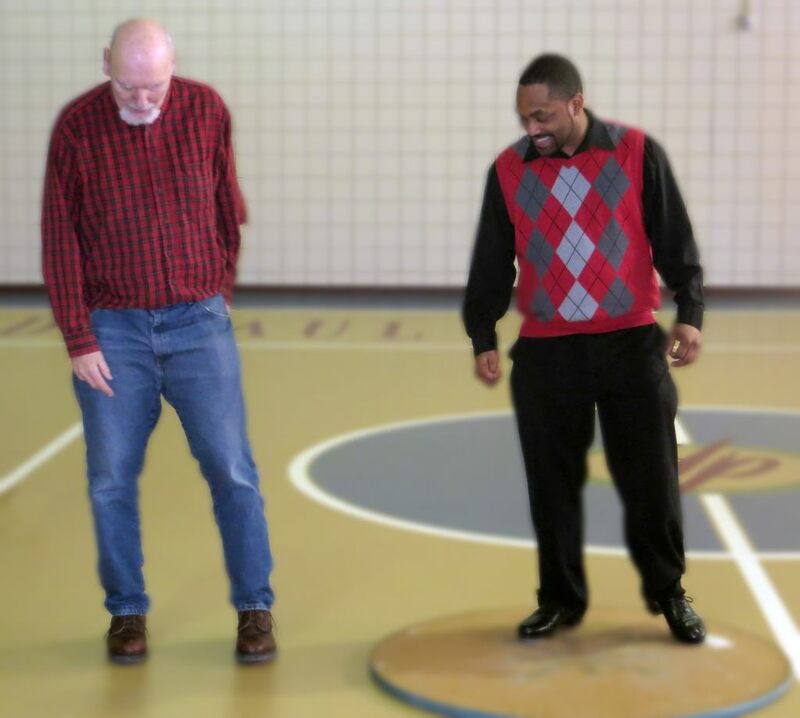 He’s always looking for opportunities to share his passion for tap dancing, which is why he volunteered to provide a demonstration for the Recreation Department. Carey said at the end of a long or stressful day, he’ll throw on his tap shoes and dance. Or if he’s at his desk and can’t figure out a challenge, he said, he’ll start tapping his feet to help clear his head. Way to go Julian! I feel honored to work with such a talented colleague who is willing to share his skills with the folks we serve! He's truly talented! The tap demonstration was so enjoyable for all who attended!